What Is Facebook Poke? And How Facebook Poke Works? Facebook poke is a default feature of Facebook where you can poke someone. Now ask Google, What Is Facebook Poke? When you poke someone, it sends a notification to that person to whom you poke that you poke him/her. Suppose the dog is sitting with his master who is busy in some work. But the dog needs some attention so he licks the master leg to get attention. Facebook poke is like this licking. 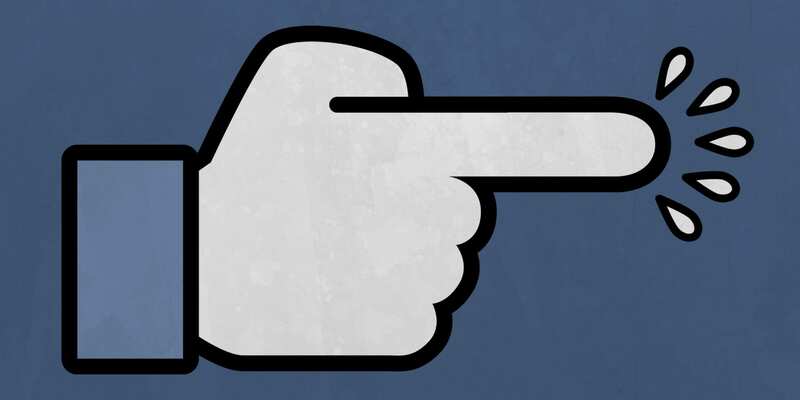 To use this feature, just go to the Facebook profile of the person to whom you want to poke. In the right side, you will get an option, just click here which will bring you multiple of options including poke. Now the person will get the notification that you poke him/her. According to the previous Facebook faq section, Facebook poke has not any specific meaning, users interpret the meaning different meaning in their own way. It is quoted in the faq section that they build the poke feature without any specific purpose. And they also quoted that, they want users to interpret its meaning himself. Actually, the feature is just like to attract the user like saying hello. Suppose you want to make someone feel special to get some attention so you can use this poke feature to send him/her a notification that you are interested in him/her. The main thing is that Facebook poke has not any specific purpose or any specific definition. You can interpret a meaning by in your own way. Because the definition comes out from the purpose and Facebook poke have not any specific purpose. Are you missing someone? Ok, let’s poke the person. Are want to get some attention? just poke the person. Are you want to flirt with someone? Ok, let’s poke the person. He replied there is no purpose, he said in the initial days of Facebook when it stated in university. It used for flirting. Is Kisscartoon legal? And Is It Safe To Use Kisscartoon?